So here I am, another year older. I’m happy to report my birthday was much more relaxed than last year. I spent most of my birthday week with my work team mates at a regional meeting. Connecting with my friends and colleagues and sharing ideas and catching up are the best part of these meetings for me. I have a long list of “stuff” and ideas to implement prompted by the diversity that always breeds creativity. My birthday itself was a long and very productive work day (thanks to that list of “stuff”) followed by a lazy evening with my husband at home. Much better than the hospital waiting room where I spent my birthday last year. For the last few years, my husband has been using the occasion of my birthday to gift me with a special Zentangle related trip just for me. It started with my first certification seminar with Rick and Maria in 2011. This was a much needed break from the chaos in our lives at the time and a chance to heal my spirit. 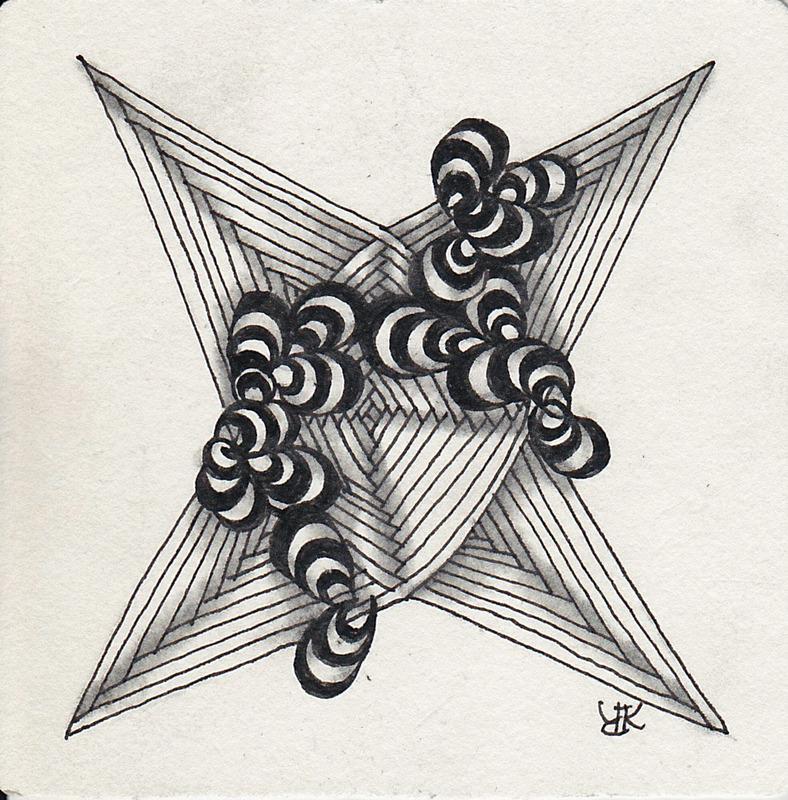 Just as my work meetings allow me to reconnect with friends and colleagues and refresh my thinking about my work; these trips offer me the opportunity to refresh my creative spirit and connect with my Zentangle friends. This year it will be Tangle U in Northampton, Mass. 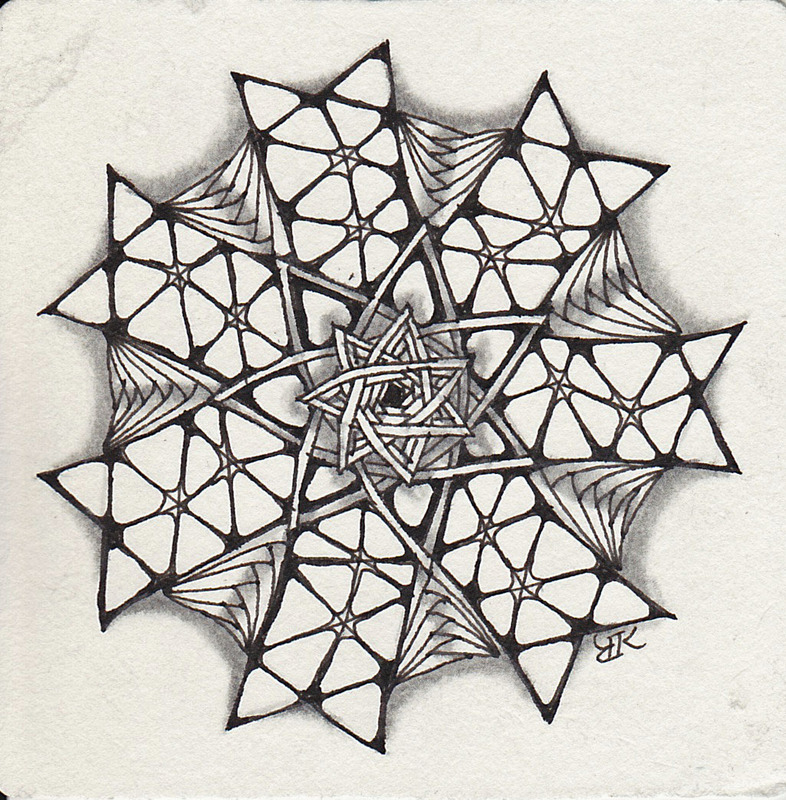 I am sooo excited to have this opportunity to meet so many of the rock stars of the Zentangle world I have only admired through their books an blogs. I’ve never been one to make very much of my birthday. I think it’s because my birthday falls just after Christmas and seems pretty anticlimactic. I have friends and family who begin announcing and celebrating their big day weeks in advance. Other are so caught up in the number, fudging what it really is, to the point they lose track of their real age. To each his own. I’m okay with the number, 52 this year, and I rarely raise the subject of my upcoming birthday. I had to think a few moments when asked by a team mate about the date last week. Being remembered with a little note or simple “Happy Birthday” is great, much more is a little embarrassing. What I DO celebrate is one more year to enjoy my Dad, treasure my children and grandchildren, and thank God for good health and a sharp mind. And be grateful to have found my other half so early in my life. He’s my polar opposite, preferring sports and numbers, early mornings and a “do it now” attitude. The man possesses no inclination toward creativity, though he appreciates art and beauty and has the sensitivity to encourage me to explore and enjoy those things he doesn’t understand. What more could you ask for in a mate? Great reflection and appreciation for the people and gifts bestowed upon you. You are one of a kind. I’m so very glad to know you in real life and call you my friend. Your challenge is beatiful, I like the shading a lot. Thank you for sharing your thoughts. I love the four points on the auraknot! You also added just the right amount of bunzo!